You look closely, and finally you realize that all the little “shortcut arrows” that indicate an icon is a shortcut have been replaced (magically, of course) by a grey “X”. Sometimes, it’s not a grey X, but another weird symbol. In any case, this problem is really annoying, and you’d like to fix it. It seems to occur randomly, and there are several fixes out there. There is one fix though that is very quick, very easy, and it has worked for me every time. Depending on the type of file, the default app/program will be different than what is shown above. That’s fine! You don’t actually need to change the app you’re using to open this file type. All you really need to do is click the OK button. 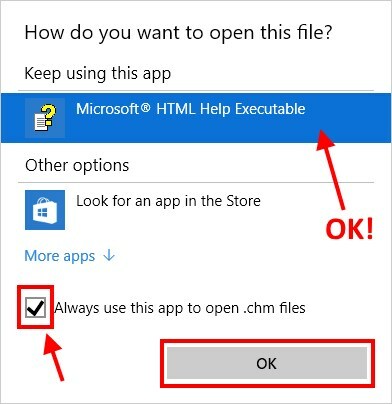 Usually, I also click the Always use this app to open ___ files checkbox, just for good measure. You can always change it later using the same process! That would great and thanks for your help BUT there is no “open with” when I right click? Running Windows 10 – any suggestions please? In my Win 10, I get the Open With on files like I did in Win 8. You can’t right-click a shortcut or folder – it has to be a file. Then you’ll see the “Open with >” option. It can be any file on your desktop, not necessarily one with the grey X. Also, it can’t be “This PC” the Recycle Bin, or any other system icon on your desktop – gotta be a file. All I needed to do was right click anywhere on the desktop and click on refresh. That fixed all the icons. Interesting! I could swear I found this solution online and it didn’t work for me in Win 7. Haven’t had the chance to try it in Win 10. But then, maybe the grey X problem happens for different reasons, and different fixes work in certain cases? Who knows. Thanks for the tip! Just refresh the desktop. Always works, but it’s irritating. What is actually causing the problem? I want to know! It is a problem that should be addressed. Maybe it has something to do with the serious issues I have from some of the forced updates, which I have had to disable. Refreshing the desktop was the first thing I tried, but no dice! still got gray x after refreshing. thanks… this is what worked for me… not the other… whew! Scratch that. I DID have this problem again in Win 10. The grey X and other variants were randomly going haywire on various icons on my desktop recently. The refresh didn’t work, but my trick did. Well, I guess the underlying problem can be different in different cases. Whatever works! WORKS PERFECT~!!!! , MAKES SENSE TOO , ,,,,,,,,,,,,,,,, the right click on (OPEN–icon free) area of desktop screen does allow you to found that most online backups ( Nortons etc) , or backup software ( WD backup etc) will put the x’s there when they are going through a backup and the file is successfully backed up. some times you have to refresh screen at end of scheduled backup . if you have internal backup activated , windows defender can do the same thing. , THANKS FOR THE FIX. That is just the sort of reply I love. Well done, Robert. Feel free to take the rest of the day off. Sweet. It works like a charm! Yup. Worked for me. What I find odd is having never seen this before, after decades of MS use. Thank you! That worked like a charm! That worked. Thanks for the tip. this fixed mine as well. @Robert Yup, that worked for me too! Running Windows 10. Thanks! Sorry. It didn’t work for me. Any other ideas? What I did is left click anywhere on the desktop and then tap the F5 key which will refresh and (hopefully)the little x’s or whatever the unwanted symbol is will disappear. none of these worked for me. I have windows 10?? Well, I just left click on any empty space on the desktop and then press F5 which refreshes, and voila, all the little x’s are gone. I have Windows 10. Sometimes instead of x’s I checkmarks and it works for those too. Good luck. Not one of these suggestions worked–NONE. Got any more brilliant ideas? Why do these little gray X’s appear in the first place? I agree w/Steve Griggs. None worked for me. Are these grey x’s anything to be worried/concerned about? I have been researching about them and can’t seem to really find that much information about them. I have also been getting some on my desktop apps as well. I wonder why they don’t show up on everything that is on desktop, at least that is how it is for me. Didn’t work for me. Windows 10. Windows 10. No solutions that work for me. Really annoying. Now listen–nobody seems to have a clue where these X marks or check marks come from or what puts them there in the first place. Sure, you can right click and select Refresh and yes, the marks will disappear. But, they’ll be right back next time. No one seems to have a clue. All these little “remedies” are not remedies, they’re just dealing momentarily with the symptom. I’d like to know what is putting the Xs and check marks on the icons in the first place. On only one of my six computers have they just started showing up in the past two days. Never before in all my years of using Windows have I seen this, and then, all of a sudden there it is. Good question! In every case where I’ve had to fix the problem, the grey Xs never came back. So, I’m afraid I’m stumped! In my case they do come back occasionally. At least I can get rid of them, even if it’s temporary. Where they come from is a mystery to me too. If you have Microsoft Office with OneDrive. It may be having syncing issues. 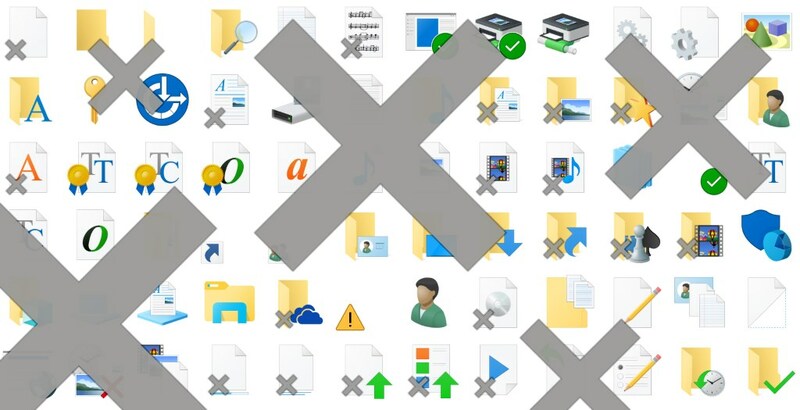 Make sure there are no files that need to be synced to OneDrive which uses the grey X icon overlay. That fixed it for me. It does oddly enough only show up on Files saved to the desktop. Strange. It is definitely a OneDrive issue. I paused OneDrive sync and the little crosses went away. They came back when sync started again. Odd thing is that when I look at onedrive.live.com all the desktop folders and shortcuts have synced OK.
Could be, but not on Win 7 unless OneDrive was installed. I’m Windows 10. If I set OneDrive to NOT start automatically and reboot then no little crosses. As soon as I start OneDrive I get little crosses. OneDrive reports it has synced perfectly, and indeed it has because my Documents are all up to date through OneDrive on my Window 10 laptop – which is working perfectly, complete with little green sync ticks on folder names. Since I can reproduce the problem, do you know how I report it to MS formally? Probably using the Feedback Hub is best. Start -> type “feedback” and you’ll see it. Wow, that was amazing! MS Answer Desk solved it remotely by taking over my desktop. They applied a general policy update and the problem went. :O I think hell just froze over. Good news! 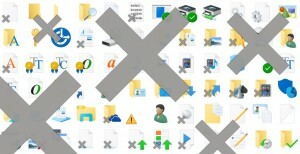 In my case, the installation of Dropbox generates the problem with the gray X. After de-installing it, restart the pc and moving the SVN folder into another directory and back to the Desktop solves my problem. I’ve had this problem for a while, none of the suggested fixes worked for me. What has just worked (i’m using W7 Pro) is moving all my desktop icons from my desktop to the Public Desktop folder (users\public\public desktop) and then moving them back again. It worked for me! It is incredible that it is happening until now. I’m using Windows 10 April Creators Update. I think it is the problem of google Drive syncing. Push syncing and refresh desktop or sign out Google Drive. Could be, although I didn’t have Google Drive back in my Win 7 and 8 days when I had this problem. selecting “open with” didn’t work but right clicking open spot ono desktop and hitting F5 worked great.